New York Educlasses Alcohol Training has been approved by the New York State Liquor Authority (NYSLA) and is offered in both English and Spanish for both On-Premises and Off-Premises ATAP courses to meet your training needs. How do I get a bartender permit, license or card in New York? (2) Study the course educational material (2 hours). (3) Complete all module knowledge checks. (4) Print your New York ATAP Seller Server Card. 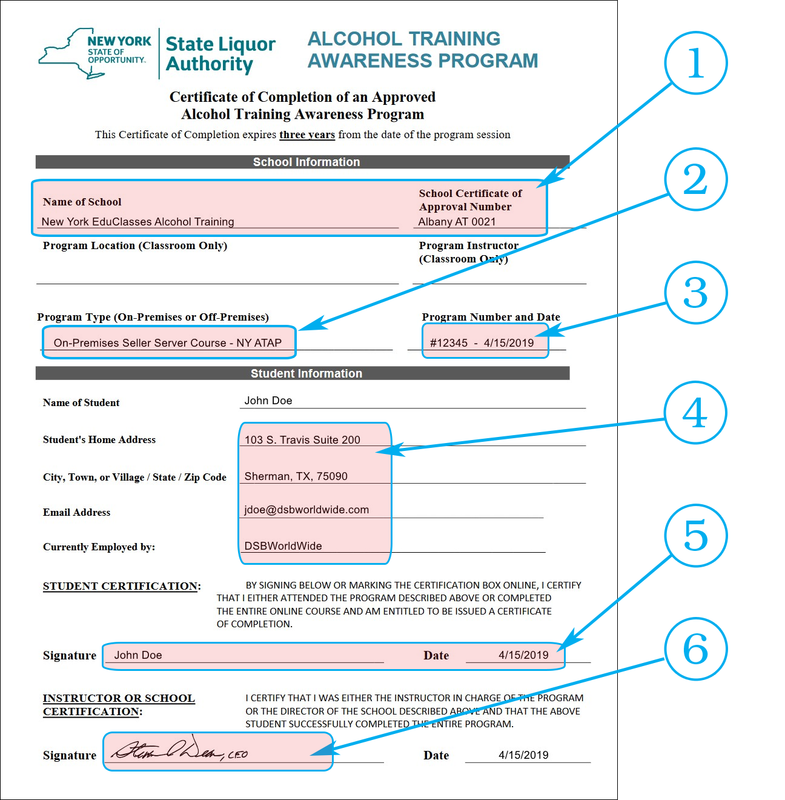 The following information shows where you will find certain information on your New York EduClasses Alcohol Training certificate. School Name and Provider Number. Student certificate number & expiration date. Student name & date course was completed.